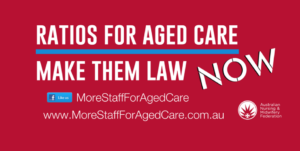 I recently asked politicians, CEOs of peak bodies that represent aged care homes, unions and aged care advocates to tell me whether they support/oppose minimum ratios of registered nurses in aged care homes and why they take this position. This is their response. Previous Previous post: What is it like to work in an aged care home?